So, you’re wondering what to get your football-crazed loved ones this merry season huh? Unlike those other occasions where you got it wrong with a 2000 page eulogy of great coaches, (trust me, no one wants that), it’s time to get it right with gifts that are not only cool, but that also show your support and appreciation of the sport. From signed retro shirts all the way to the greatest goals on DVD, we’ve compiled a list of the best gifts that will blow the mind of anyone mad about football. Hey, don’t you dare scoff – there’s nothing wrong with some good reading. Football is not all about goals. Besides, what’s the point of leaving a legacy if no one reads about it? This gift will allow your football crazed family to get some reading in and maybe learn something new about their favourite game. 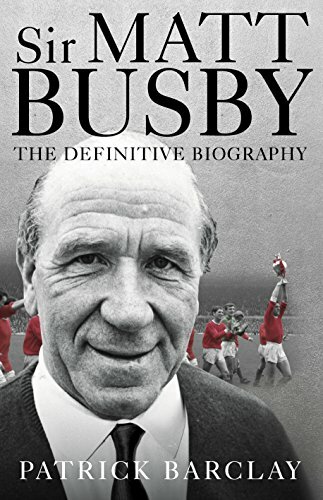 The biography is about Sir Matt Busby who created the global entity that spread from Old Trafford and took Manchester United to unprecedented fame and glory. The book looks at the phenomenal life and career of Busby, with highs such as the Wembley victory that made Man-U the first English team to Win the European Cup and lows like the Munich disaster that claimed over 20 lives. I don’t know about you, but any football-loving soul will appreciate a story of one of the most celebrated figures in football history. Here’s the second gift of the season that should make up for the deep feelings brought out by Busby’s biography. We all love a good game, especially when we can play it right at the comfort of our homes. Don’t get me wrong; any football video game is cool. However, there’s just something about a limited edition game that just screams I love you from the bottom of my heart. 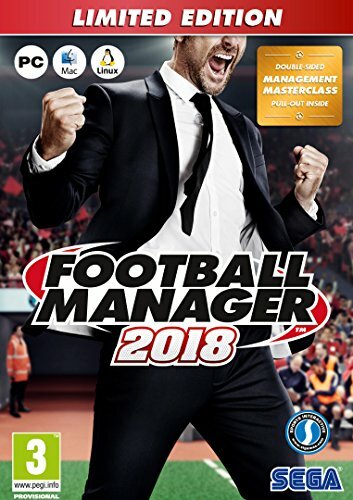 The Football Manager 2018 Limited Edition is the latest and most sought-after product from Sega that will literally excite the crap out of your ball-loving friends and family. It’s more than a game; it’s a platform that allows you to try your hand at managing over 50 of the hugest footballing countries with 600,000 real players and staff at your disposal. Watch your team transform into champions geared for nothing but the top position. For football fanatics, nothing gets the blood pumping like that very moment when the ball makes it past the keeper. The sound of the ball hitting the net and the commentator bawling out goal at the top of their lungs is almost euphoric. Well, why not let your football addicts get their fix again and again by reliving some of the most spectacular goals captured on camera. 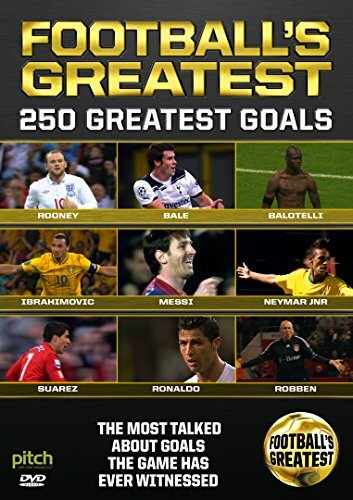 This unique and action-packed program features 250 great goals in one of the finest collections since the history of football. That’s right; you get to watch a majestic montage of unbelievable strikes, solo sensations, breathtaking goals, tactical team scoring and some of the most awe-inspiring finishes we’ve ever seen. Need I say more? You know what I learned when I started my journey to gift giving? It’s that you can never go wrong with a good T-shirt. Especially if something catchy is printed on it. 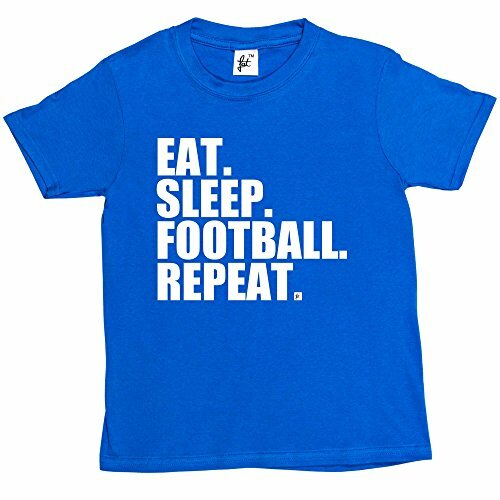 This particular shirt allows you to let loose the football fanatic by capturing their commitment in a few simple words, and that’s Eat, Sleep, Football, Repeat. I mean, isn’t that all they do anyway? This T shirt comes in a variety of different colours with high quality, vibrant and non-peeling print work. What’s more, they are made of high-grade cotton to ensure that they last longer and are more comfortable. Get the entire set and have your family clad for the game with Fancy a Snuggle T-shirts today. I’ll be the first to admit that as a guy who’s always out in the field enjoying the game, deodorant isn’t always a priority. Fortunately, my wife likes to remind me about the stinky, sweaty consequences of playing ball all day by holding her nose. But not all couples are so open. So what do you do when you don’t want to tell your loving football fanatics that they reek of sweat? Simple, get them the Baylis & Harding Men’s Sport Football Wash Bag. This handy bag is the perfect way to encourage football lovers to stay fresh and invigorated after a game. The box contains hair and body wash, face wash, shower gel and aftershave balm all neatly packaged in a ball bag for a fresh, sporty look. The great news is that the array of toiletries can also come in handy for a big night out too! How convenient is that?